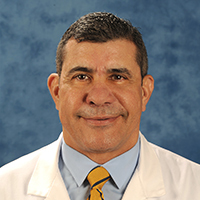 When the Society of Hospital Medicine published its 2013 list of five pediatric Choosing Wisely recommendations, Dr. Mario Reyes, a senior hospitalist and Physician Leader of the Division of Quality and Analytics at Nicklaus Children’s Hospital in Miami, saw a prime opportunity to develop a new clinical report card on practice performance. Reyes and nine colleagues translated four of the recommendations into five quality metrics that could be used to gauge adherence and calculate achievable benchmarks of care. The metrics involve the use of chest x-rays in asthma and bronchiolitis, bronchodilators in bronchiolitis, systemic corticosteroids in lower respiratory tract infections, and acid suppression therapy in gastroesophageal reflux. Their 2017 study examined the treatment of children hospitalized between January 2013 and September 2015 from 32 hospitals that provide data to the Pediatric Health Information System (PHIS). The researchers narrowed the study population, based on set criteria, to create uniform cohorts of uncomplicated instances of the targeted medical conditions for their statistical analysis. Now Reyes and his team have completed a follow-up study that explores trends over the last five years based on the report card at 37 children’s hospitals that provide data to PHIS, examining how well the metrics have worked over time. “There is a small group of us around the country that are now focused on what we call ‘measuring wisely,’ ” said Reyes, noting that the initial study was meant to provide institutions and group practices with a way to measure and benchmark individual performance and support quality improvement. Reyes said that Choosing Wisely-based metrics were the first clinical report card for pediatric hospitals that include calculated benchmarks as an indicator of excellence focused on overuse, and that institutions can use these measures to identify areas where they fall significantly outside the norm for improvement initiatives. He said that in addition to being a distinction of high quality, the benchmarks represent attainable goals because they are calculated by comparing uniformly, regularly collected data from peer institutions. Reyes said that while there is never going to be 100 percent adherence to avoiding low-value care in clinical settings, there was a clear need for institutions to aim for reasonable and attainable standards. For instance, Reyes said, his study showed that significant variation in care exist among the tertiary centers included in his analysis as well as a clear gap between the benchmarks and actual performance by most of the institutions. The percentages of patients receiving chest x-rays for uncomplicated asthma and bronchiolitis, bronchodilators for uncomplicated bronchiolitis, steroids for lower respiratory tract infections and acid suppressors for GER were higher than the benchmarks for a vast majority of the hospitals, with some outstripping the measure by more than 50 percent. No hospital met the benchmarks for all five metrics, and only three hospitals met the benchmark for at least two of the measures. The difference between the best-performing and worst-performing hospitals was more than 60 percentage points in some cases (chest x-ray in asthma and bronchiolitis, and relievers in bronchiolitis); the difference was 74 percentage points for acid suppressor therapy for GER.